Are you a Wealthfront customer who was so busy investing you forgot to leave out some cash to put down on your car? Are you getting married and your Wealthfront account is on track, but you lack cash to pay for the wedding? Forgot to fund your emergency account, even though your Wealthfront investment account is growing? 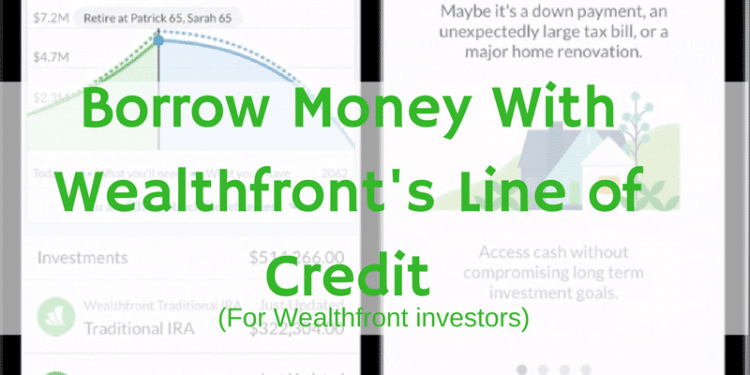 Learn about the Wealthfront Portfolio Line of Credit, to help with those money ‘what ifs’. I was sceptical at first. Wealthfront, the robo-advisor for 30 to 40 year olds is now offering a lending solution. I wondered why an investment advisor is offering loans. What were they thinking? After meeting with a Wealthfront spokesperson today, I now understand. The company is not attempting to become SoFi or a standard lender, but the firm is responding to their customers’ needs. You’re saving $1,000 per month in your Wealthfront investment account, and it’s growing well. After a couple of years, you’ve built up a low six figures account balance. Then, your car dies and you need the downpayment for a new one. Although you have the money, you’d need to withdraw it from your Wealthfront investment account, and miss out on the future returns those funds would earn. Wealthfront came up with an alternative so that your money could remain invested in the account and you could borrow the ready cash that you need, for a low interest rate. My first comment, after hearing about the loan was this, “You’re offering a margin account.” The answer was a resounding “No.” In fact, the loan proceeds can’t be reinvested into your Wealthfront account. Wealthfront claims that the money is fulfilling a need for the investor who needs ready cash and has an account balance greater than $100,000. Although it’s a good idea to keep money in cash or a money market account for short and intermediate needs, some investors missed that lesson! And, if you’re a Wealthfront customer, the robo-advisor is here to help. 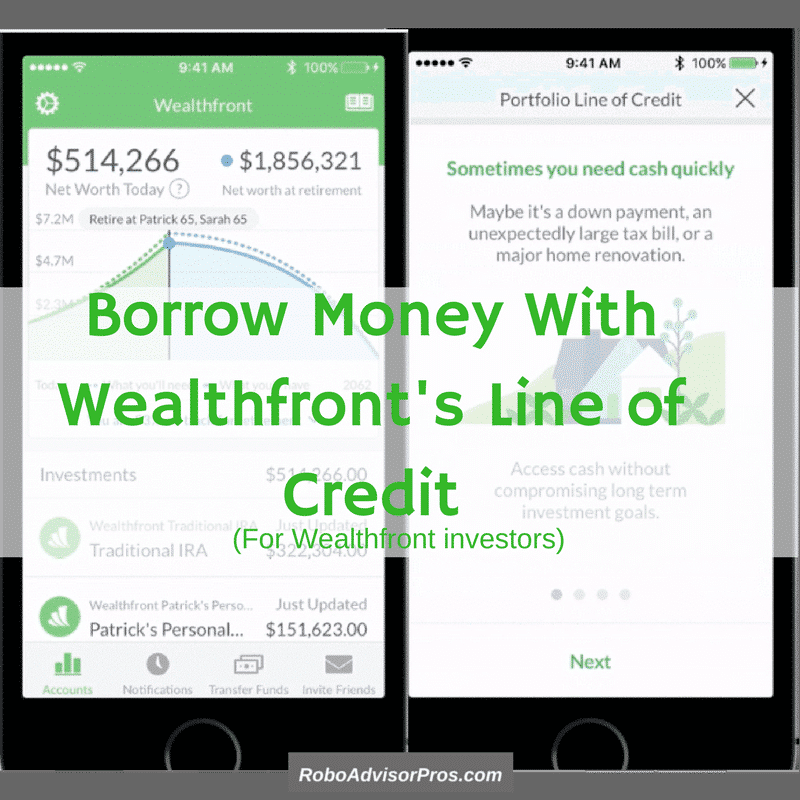 So, how does the new Wealthfront Portfolio Line of Credit work? You’re a Wealthfront customer with a minimum $100,000 balance. You have an individual or joint account. If you meet the above criteria, you’re eligible for the Wealthfront loan. You can borrow up to 25% of the value of your Wealthfront account. So, if your account balance is $100,000, you can borrow approximately $25,000. Just request the money, and it’s yours. No additional fees or paperwork! Of course, there’s an interest rate on the loan. The interest rate is tied to the value of your Wealthfront account. Higher balance accounts receive lower interest rates. Currently, the interest rate ranges from 4.05% to 5.3%. What’s the Risk With the Wealthfront Line of Credit? First off, it’s a loan. That means you need to pay the money back. It’s not free money! The longer you maintain the debt, the more interest you’ll pay. It can be tempting to take out a loan and blow the money, but don’t do that. As with any debt product, be responsible, and use the money for something important. And, pay back the loan as quickly as possible. Read our full Wealthfront Review Series to find out if this robo-advisor is a good fit for you. A PhD level research supported digital investment advisor with low fees and the best index matching returns for your individual risk profile. A $500 minimum account value. Your first $10,000 is managed for free (or $15,000 managed for free with this Wealthfront offer). A low 0.25% management fee. Path financial planner included. Helps you decide how much to save for retirement and what you can or can’t afford in the meantime (plus many more features). Many available account types, including a 529 College Savings Plan account. Tailored transfers move your investments into the Wealthfront platform without selling all assets at once in a manner that minimizes taxes. 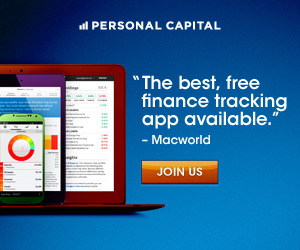 If you sign up by clicking the banner below, then you’ll get your first $15,000 managed for free, compliments of Robo-Advisor Pros. 30% of $100,000 is $30,000, not $33,333 (that’s 1/3, or 33.3%). I enjoy reading your stuff, but it loses credibility when there are silly mistakes that could have been caught by proofreading. Hey Kit, Thanks for keeping me honest! Once in awhile, a mistake gets past my keen eye! Actually, as of April, 26, 2018, the Wealthfront line of credit is capped at 25% of the amount invested with the company. There remains a $100,000 minimum balance to participate in this feature. Thanks for your such informative article.